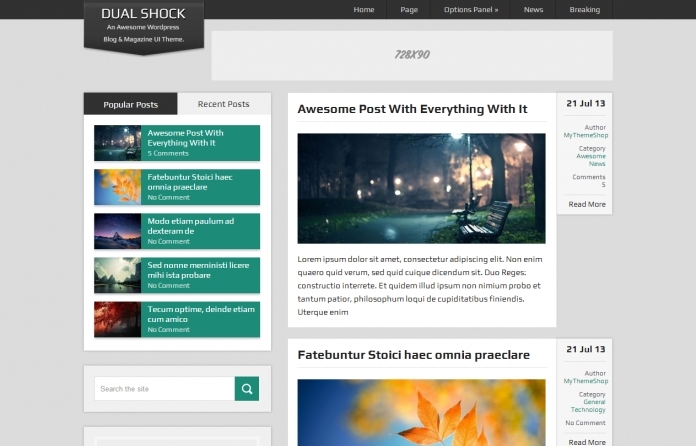 DualShock is a 100% free, dual purpose blog and magazine UI theme. It features our best features including our options panel, custom widgets, translation-ready functionality and search engine optimization. With a unique layout including sleek post meta information box, DualShock is a must-have theme, and best of all, it’s free.